Kinloch Partners is a privately held real estate investment partnership, seeking to provide affordable housing solutions through the new construction, renovation and offering of high quality, single family, real estate properties. The company’s Co-Founder and Managing Member, Bruce W. McNeilage, has been investing in single family and multi-unit rental real estate for the past 12 years in South Florida, Nashville and Atlanta. He is joined by Christopher Zachary, who as Co-Founder has contributed financial expertise to the growth of the enterprise. The company’s subsidiaries specialize in building, maintaining, and offering single family homes for management within its current portfolio or for placement with large publicly traded Real Estate Investment Trusts and other Real Estate Funds. The company focuses exclusively within several growing metropolitan areas within the southeastern portion of the United States. These include multiple counties encircling Atlanta, GA including Pauling, Gwinnett, Henry, Fulton and Clayton. The company also has a significant presence in Williamson county, surrounding Nashville, TN, Spartanburg county, surrounding Greenville, SC and recently, Johnston County located within the greater Raleigh, NC area. Our homes typically feature four and five bedrooms, two-and-a-half bath floorplans, incorporating granite counter tops, a fireplace and stainless appliances ranging from 2000 to 2400 square feet. Among McNeilage’s previous successes is The Park at Five Points, a development that McNeilage purchased from The Bank of Nashville in 2010 and sold this year via a separate partnership. The 162-unit development, featured large one- and two-bedroom units ranging from 700 square feet to 900 square feet and is located about one mile north of the Five Points district, Nashville’s newest hip destination and is within a short drive of the districts art galleries, eateries, night spots, and garden center. 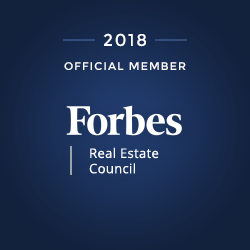 McNeilage brings his time-tested proprietary techniques for renovation and property management to boost occupancy rates, create positive cash flow for investors and build long-term value for these properties. The firm is actively purchasing single-family homes within each of its target markets and is expanding its build-to-rent model to provide brand new, affordable housing solutions for customers while they establish a pathway to home ownership. Kinloch Partners, LLC is committed to fostering long term mutually beneficial relationships within the broader real estate industry based on a shared commitment to integrity. Kinloch Partners was formed in 2011 by childhood friends Bruce W. McNeilage and Christopher Zachary, who met on the playground at Kinloch Elementary School in Dearborn Heights, Michigan, in the mid-1970s.